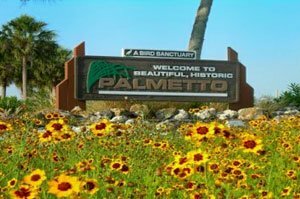 Heron Creek homes for sale occupy a prime site on both flanks of 36th Avenue East (Ellenton Gillette Road) on the northern side of Palmetto. This location is less than a mile south of Interstate 275 and about a mile west of Interstate 75. These highways notably could facilitate convenient access to St. Petersburg and Tampa towards north and Bradenton and Sarasota towards south. 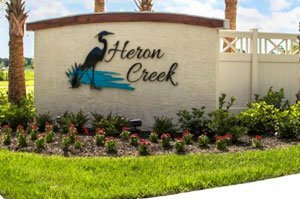 Heron Creek’s developer is Maronda Homes, which has extensive operations in Florida and four other states since the early 1970s. This family-owned company takes pride in having built more than 70,000 residences that achieved a 97% satisfaction rating amongst their buyers. Maronda platted 90 home sites at Heron Creek, with many of these lots adjacent to the development’s lakes and canal that lend serene views within the community. These water features combine with the community’s superb location, low HOA fees and absence of CDD fees in making Heron Creek homes for sale one of Palmetto’s bestsellers. In 2017, some 20 homes were sold in this community, prompting Maronda to push building in a new phase in the property. Maronda offers buyers of Heron Creek homes for sale choices on six one-story floor plans and three two-story designs of single-family residences. It touts these builds as having standard features which are included as home upgrades in many other developments. These standard inclusions come out truly impressive in each home’s extensive tile flooring, crown moldings, gourmet kitchen with granite countertops, and brick paver driveways. Gauging from 2017 data culled from the MLS of Sarasota homes for sale, Maronda’s single-story Drexel home model is one of the popular choices of buyers at Heron Creek. This build is priced starting from around the mid-$200s and features three bedrooms and two baths within a floor area of 1,988 square feet. The two-story Baybury design, which is available in layouts of 2,911 to 3,077 square feet, is likewise winning the hearts of some Heron Creek home buyers. This model can be configured for four to six bedrooms, with its starting price approaching the $300s mark. Proximity to local life and leisure centers help sharpen market interest on Heron Creek homes for sale. An urge for some shopping and dining out could be filled with a short drive south from the community to the Ellenton Premium Outlets and downtown Bradenton. Property values in Heron Creek stand to get some boost from the intensifying local efforts to modernize while at the same time preserving Palmetto’s small-town charm. Much-anticipated, for instance, is the completion of several local park improvements such as the project at Palmetto’s Riverside Park which include a new floating day dock. Another significant move coming in 2018 is the opening in Palmetto of the biggest Gulf Coast location of Detwiler’s Farm Market. This Sarasota-based company is setting up shop in an eight-acre site at 1800 U.S. 301 with plans for 50,000 square feet of commercial space that would create some 100 jobs. As Detwiler’s its first entry into Manatee County, this venture is one clear indication of the growing market stature of Palmetto and its residential communities, whether old or new. 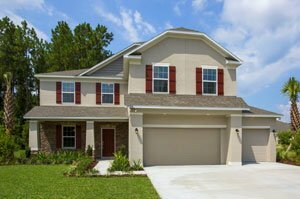 Below are the current real estate listings available at Heron Creek.